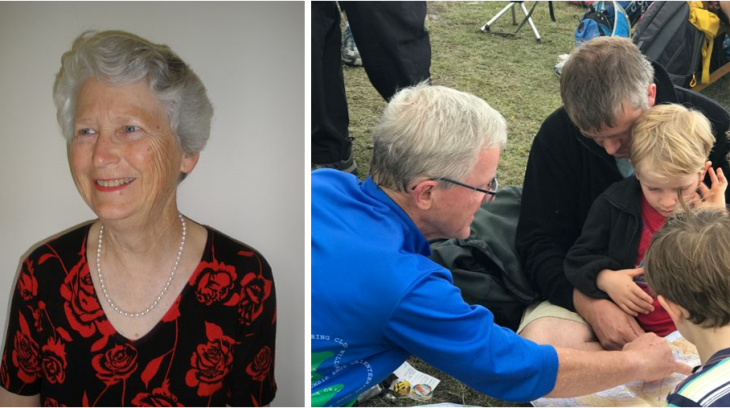 Congratulations to two of our hardest working members for being recognised with the Order of Australia Medal (OAM) on the weekend, Gwennyth Baker and Geoff Hudson. Gwennyth and her son Andrew have been the hardworking scorers for the Monday Summer Series for many years, meaning they are often the last to leave the event as they wait to ensure everyone has come back safely. Gwennyth is always very encouraging of newcomers, often accompanying them on their first time out and showing them the basics. She has always encouraged family and friends to come along, and is a cheerful, welcoming face at every event she attends. Gwennyth is a Legend member of the Millennium Club, with over 1300 events completed as of the end of 2018. In 2014 and 2016, she was the Park Street Champion in Womens Ultravet Power Walking. Gwennyth’s OAM comes in recognition of her service to community health through a range of not-for-profit ventures including the Juvenile Diabetes Research Foundation, Jelly Baby Campaign, Phone Tree, Melbourne Walk to Cure Diabetes and the Hospital Visitation Support Program (among many others). You can read more about the fantastic work Gwennyth does in this article from when she was a nominee for Senior Australian of the Year in 2012. Geoff has been an extraordinary contributor to orienteering and scouts events as an organiser, mapper, course setter, coach, leader and innovator (among many other roles). He is renowned for his immense passion and the tireless effort he puts in. Thanks to Geoff’s involvement, hundreds (if not thousands) of people of all ages have had a fantastic introduction to the sport, making him thoroughly deserving of this recognition. Geoff received his OAM for service to youth through his involvement in scouts. This includes his role as the founder and main organiser for the Melbourne scouts orienteering program, Suburban Adventure Racing, being an examiner for the Queen’s Scout Award, a Scout Leader for seven years and a District Rostered Parent for six years.